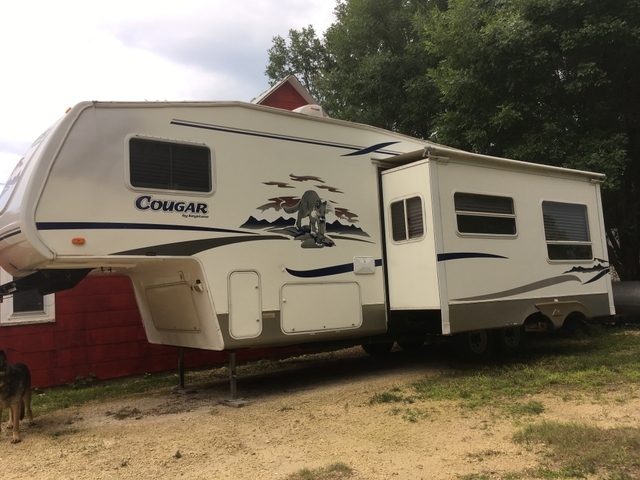 This 2004 Keystone Cougar 5th wheel camper is about 31' long and features a 12' slide out, with room for the whole family. 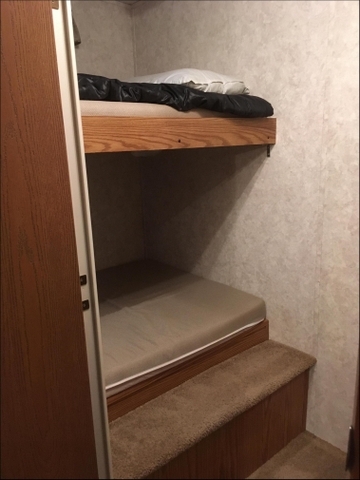 Oversized bunk beds in back, Queen bed up front and pull out sleeper sofa and dining room table that converts to a bed could accomodate up to 8 people. Also features a receiver hitch at the back and a platform to haul your bbq grill, or firewood. 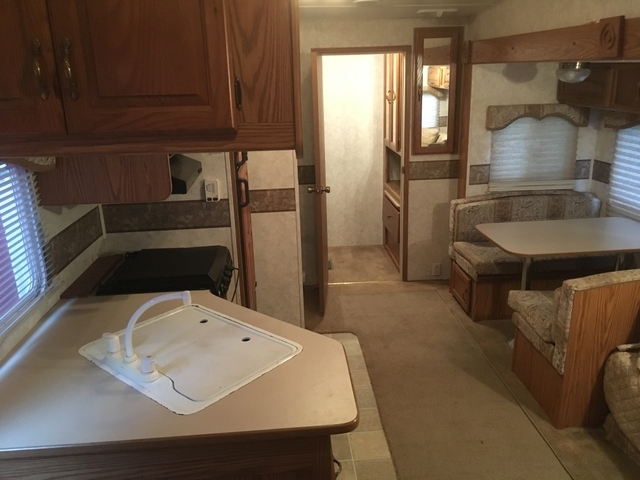 Features tons of storage, in back and underneath. Cold AC! Features and specs can be found online by searching for model 281EFS. In good condition! 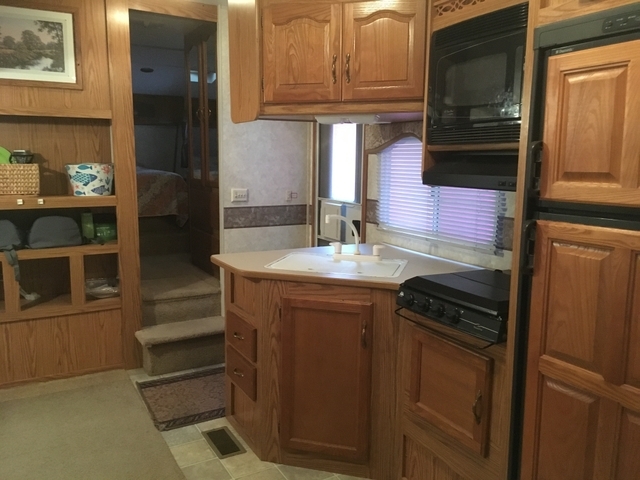 If you have a pickup with a gooseneck ball, I also have an Anderson Ultimate 5th wheel adapapter which I will sell with the camper for an additional $500. 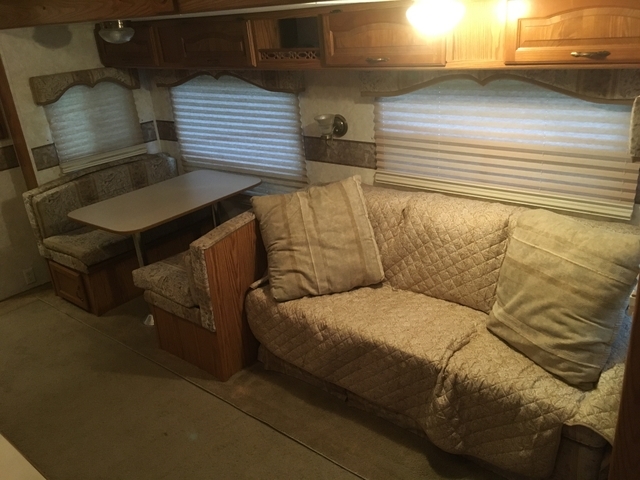 I will not sell the adapater before I sell the 5th wheel. 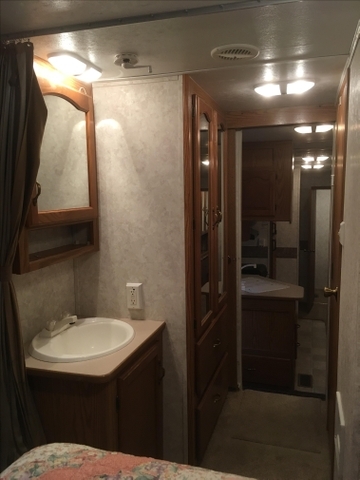 If you are interested, please message me and I will give you my phone number to answer any questions, or schedule a time to see this nice camper!